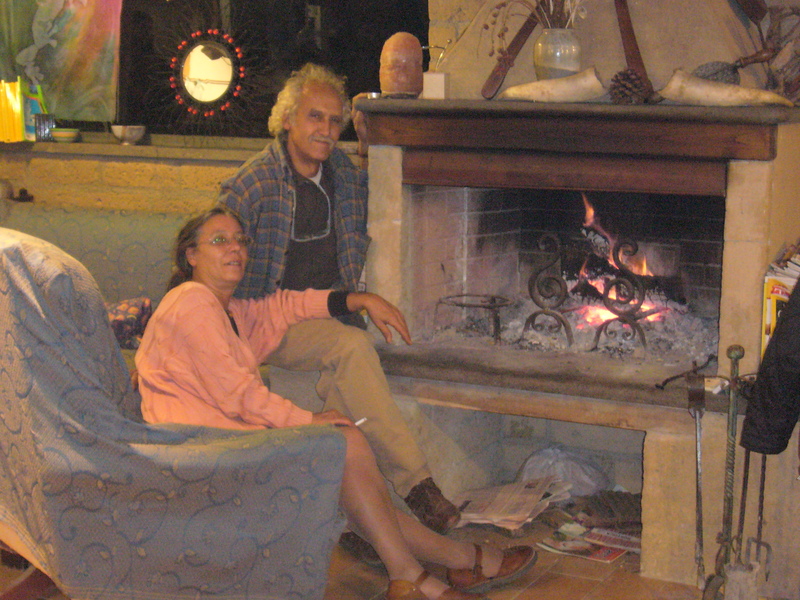 In 1987, to integrate the income of agriculture and to have interesting exchanges with different people and of different nationalities and cultures, we created the Agriturismo which is composed of 4 comfortable, simple, welcoming rooms, located in an old renovated house and, in compliance with the spirit of the whole company, without a bar or television. This first renovation was followed by the creation of pitches for campers and campers and the arrangement of comfortable bathrooms supplied with hot water. Subsequently, we have arranged a large room, where all guests can relax and consult the information material of the area. It is in this large bright and glazed space, we serve breakfast and dinner on a large table. For us it is very important to eat together, we also sit down at the table with our guests, because it is a way to get to know each other and exchange opinions and experiences. It ‘s very nice when in the same table sit 2,3,4 different nationalities and we understand each other even if we do not speak the same language. 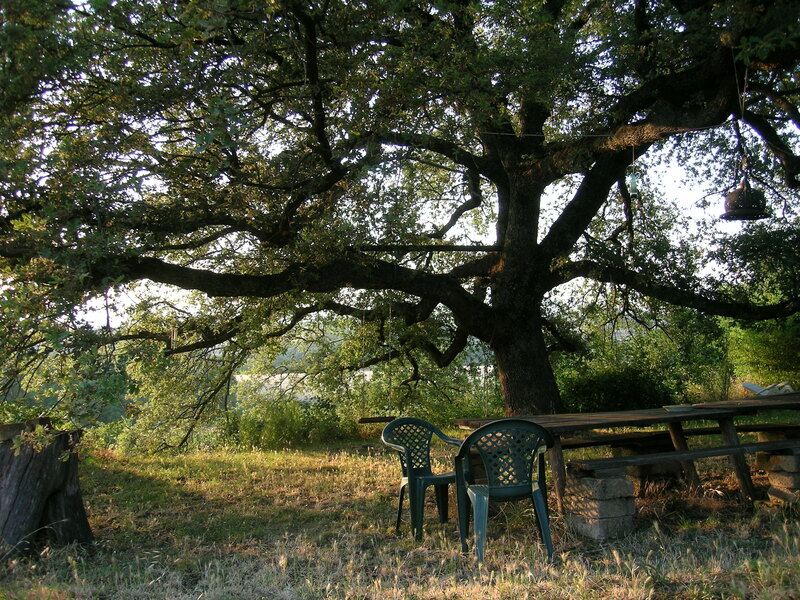 When time permits or we eat under our Great Oak, our Monument, so we call it: a magnificent big oak of 2 or 3 centuries that covers with its thick foliage more than 400 square meters, forming a small shady garden with swings , the piscinetta, the deckchairs and the rough wooden table.